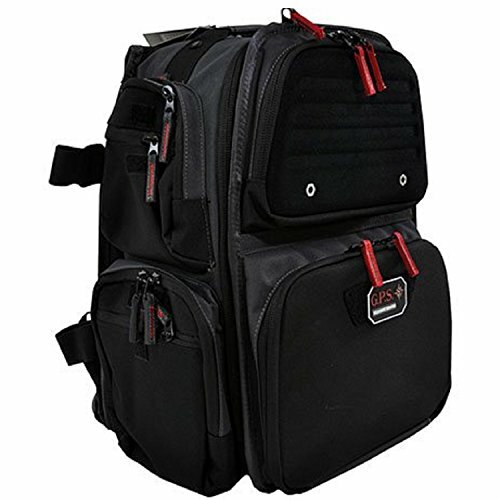 The Executive backpack is designed for the shooter who needs to transport his handguns to and from the range without anyone knowing what is in the pack. It features a removable foam cradle the holds five handguns securely inside the pack. This pack also provides 16 removable visual I.D. Icon patches to place where you want, and to help you store and protect your shooting accessories. Specialized pockets in the front of the bag are velour lined to protect fine shooting glasses and custom molded ear pieces. It also includes two ammo dump cups to hold bulk ammo and other small parts if needed. Also includes a computer storage pocket; the padded storage pocket will fit up to a 15 inch screen laptop while you travel. Pull out rain cover protects gear from a sudden rain and lockable heavy duty YKK zippers provide added security. VooDoo Tactical 15-7981007000 The Ultimate Drag Bag, Coyote, 51"